We absolutely love gearing up in the mornings. Few things beat putting on our kit, checking our gear and finalizing our route plans. Equally as awesome? Finishing up a ride with your loved ones and buddies. Wherever we are when we finish a ride, we have some favorite traditions and we’d like to share them with you. In Asheville, we love to grab a beer and some wings at one of the many local breweries. Asheville, otherwise known as Beer City USA is home to some of the best breweries in the world. National brands call Asheville home and many local beer enthusiasts have started their own breweries that are equally (or dare we say it – better) than their national counterparts. Whatever your fancy, you can find it in Western North Carolina. One of our favorites is Ecusta Brewing. Situated perfectly at the entrance to Pisgah National Forest and next to the Davidson River, you can roll right into the parking lot from your ride. After a long ride, you can’t beat the cool beer and friendly conversation waiting for you at this local brewery. During the Tour de France, we love to review the latest stage and team stats. The Tour de France is usually a very busy time to visit France and for good reason. Cycling enthusiasts from all over the world recognize that the annual gathering of professional riders to ride at unbelievable speeds over incredible distances is worth seeing in person. We love this tour because we have a tendency to make new friends who all love to geek out on cycling like we do. Relaxing and comparing our times up Mt. Ventoux with the times of the pros is our way of unwinding after a day on our Tour de France tour! 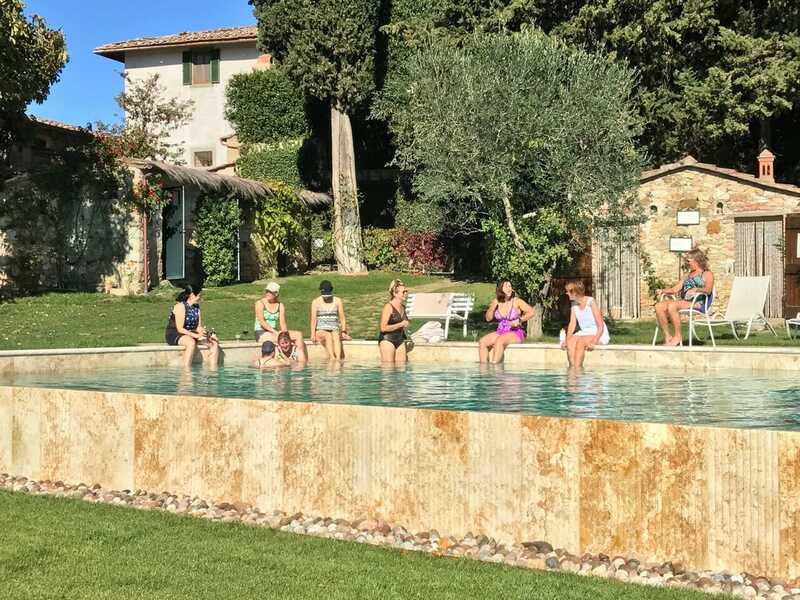 In Tuscany, we love to settle in with a cool glass of wine by a pool at a refurbished farmhouse. Tuscany offers some of the most breathtaking landscapes in the world. Nestled in the rolling hills is a beautiful restored farmhouse from the 17th century. Relais Ortaglia is a warm, family owned bed and breakfast that we love to frequent when in the area. The views are hard to beat, especially after a day in the saddle! In the French Alps, we love to relax with friends around a table laden with wine and delicious food. All comments we love to hear around a table after a ride. The perfect weather with the best friends and the most delicious food? We aren’t kidding when we say we offer life-changing vacations. This shot of Hotel Edelweiss makes it easy to see why this is one of our favorite ways to unwind after a day in the saddle. 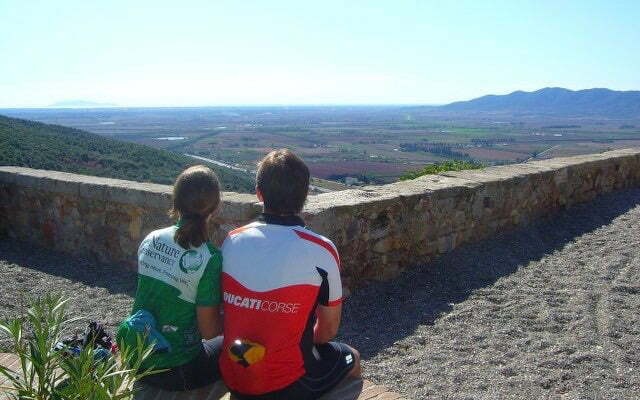 One common theme throughout this post is that we love to spend time together post-ride. The food, drinks and view may change but the company is what matters most. 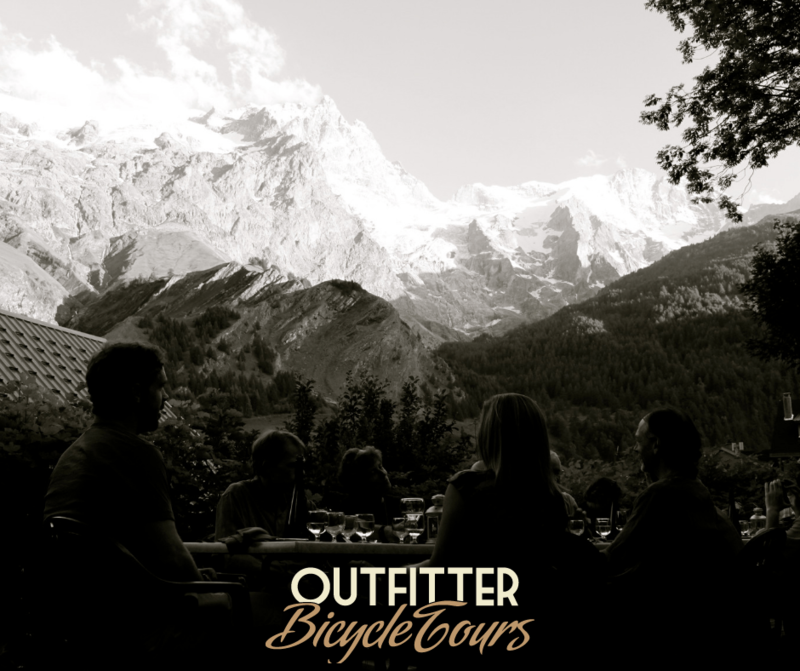 Let us help you plan your cycling vacation with your best friends and loved ones! Let us help you become a storyteller!